Cyprus’ debt crisis puts Russian banks and companies at risk of losing billions of dollars. Russian businesses may reportedly lose over $50 billion should the island's government default on its debt obligations according to Moody's credit rating agency. Earlier in February Moody’s said that the scale of the country’s debt may force its government to give in to the most radical mechanisms of slashing the debt, "including private-sector losses on Cypriot debt." The first major risk for Russia is based on its banks’ massive credit exposure to Cyprus. The amount of cross-border loans Russian banks issued to Russia-related companies registered in Cyprus totals between $30 billion and $40 billion. According to Moody’s analyst Eugene Tarzimanov "a potential Cyprus moratorium on external payments could block loan repayments [of up to $53 billion] to Russia, leading to some asset-quality pressures." Most Russia's largest banks are somehow involved in crediting Cyprus-based businesses. There are also indirect risks for Russian banks, associated with the Russian corporate deposits in Cypriot banks. 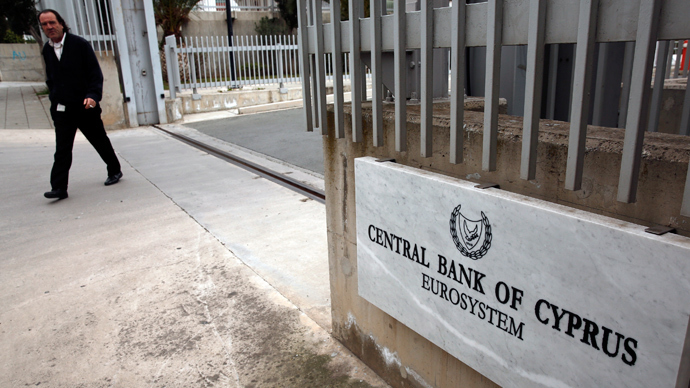 An estimated $12 billion were held on deposit with Cypriot banks at the end of last year. Moody’s latest estimates say now this figure is approaching $19 billion. If Cyprus’ banking sectors defaults and the corporate deposits are frozen or used to help save local banks, Russian banks may suffer major deposit losses. According to the agency Russia may also not be able to repatriate these funds, which may affect the servicing of the bank debt back in Russia. 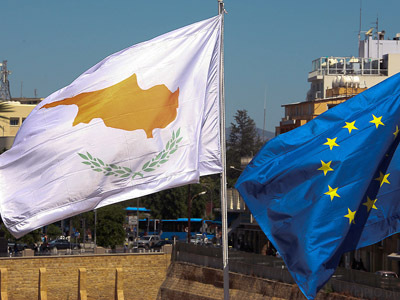 The next risk is in amending Cyprus’ corporate tax policy. Cyprus is widely regarded as tax haven for the Russian big companies, as with its 10 percent it has one of lowest corporate tax rates in Europe, vital to attracting foreign investment. If Cyprus agrees to fulfill the requirements of the “Troika” (EU, IMF and European Central Bank) set as a condition for them to issue a 17 billion euro rescue loan, the tax rate may soon be increased from 10 percent to 12.5 percent, and will likely scare off business, Vedomosti daily reports. It may affect the attractiveness of Cyprus for the Russian companies. Cyprus currently ranks as the largest source of foreign direct investment into Russia, while the money Russia receives is largely of Russian origin. Cyprus has been in talks with the EU and Russia on a 17 billion euros rescue package that would recapitalize its oversized banking sector and also aid debt and government expenses, Reuters reports. 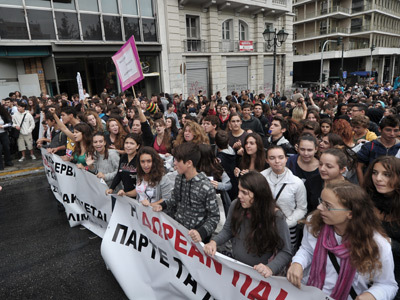 EU states’ finance ministers are due to rule a bailout decision for Cyprus by the end of March. EU leaders are expecting the decision from Russia in the upcoming days. Minister of Finance Michalis Sarris will be in Moscow on Monday for talks with his Russian colleague Finance Minister Anton Siluanov. The finance ministers will be discussing conditions in which Russia could help Cyprus overcome its financial problems and possibly reach a decision on prolonging the Russian $2.5 billion loan for another five years. Russia loaned Cyprus $2.5 billion in 2011. The loan was issued for 4.5 years. In January 2013 Cyprus authorities asked the Russian government to consider extending it for another five years to 2021. Since 2012 Russia has been considering loaning Cyprus another 5 billion euro, but has yet to agree on that. 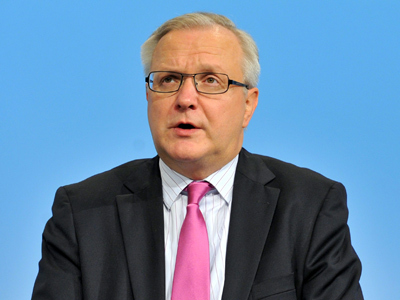 The Russian decision may be issued simultaneously with the “Troika” creditors decision on granting Cyprus a rescue loan. The next and expectedly ‘final’ talks on that are due to take place on Friday.